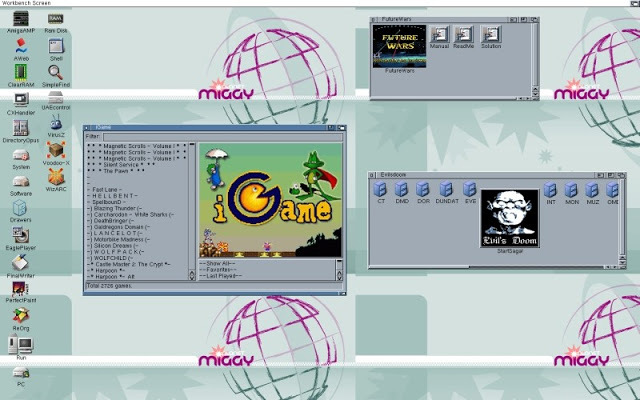 Another week another Amiga emulator beta and this time Toni Wilen has updated WinUAE to WinUAE 3.40 beta 4. We decided to skip 1 to 3 purely because a number of users had issues which needed to be fixed and we felt it best to give it time to mature some more before we mentioned it here. This latest release isn't a big update compared to earlier, but does include extra support such as IVS vector accelerator boards, 68000 mode fallback and predefined autoconfig RAM board choices. For further information see the change log below. - Fixed uaegfx 8-bit mode palette updates. - Force UAE mapping mode if 1G Z3 Chip RAM size. - Do not map Z3 RAM (and crash) if RAM allocation fails. - Improved some "Too much RAM" edge cases when deciding UAE/REAL mode and if JIT direct supported. - cpuboard_settings config entry wasn't loaded correctly if it had any multiselect options. - Added IVS Vector accelerator board emulation. - Blizzard 1230/1260/2060 68EC020 fallback mode supported. Hard reset restores original CPU configuration. Very pointless but IVS Vector support code already handles it. - Added some predefined autoconfig RAM board choices. Few popular options copypasted from amiga.resource.cx. More later..